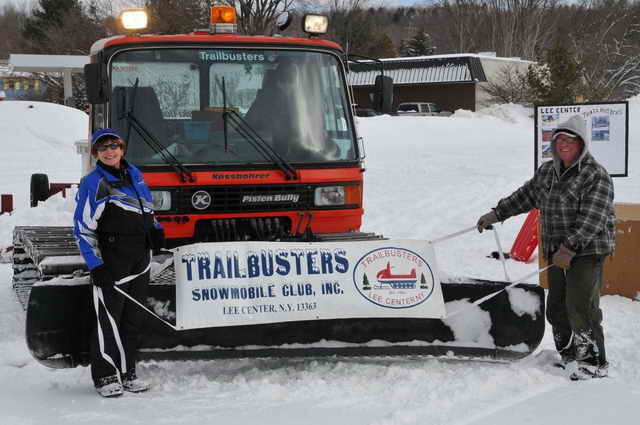 The Trailbusters Snowmobile Club, Inc. is a non-profit snowmobile club founded in 1966. The club maintains over 38 miles of Class A trails over both public and private lands. 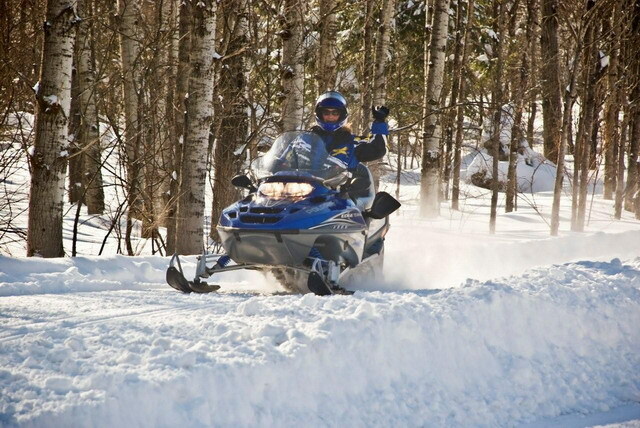 The club provides snowmobile safety education classes and encourages preservation, conservation and a healthy respect of nature and the environment. The Lee Center Trailbusters would like to thank all of our landowners for their generous cooperation in allowing us to have trails travel across their property. Without their support, it would not be possible to have these trails. All ticket sales need to be turned in to the club no later than 12 April 2019! Location: Lee Town Hall, Stokes-Lee Center Road. Check out the newest business on our trail system. 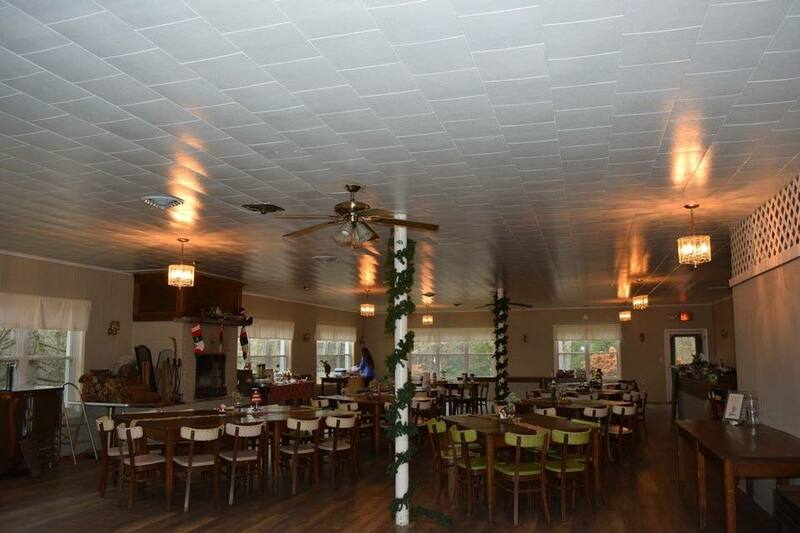 Sleepy Hollow Golf Course is now open with winter hours, serving food and beverages. A delicious breakfast menu is offered on Sundays. Access to the clubhouse is a new trail off of C4H heading west from the Lee Town Park (Hawkins Corners Road/Marsh Road area). Their parking lot is plowed for trailers, with direct sled access to our trail system. 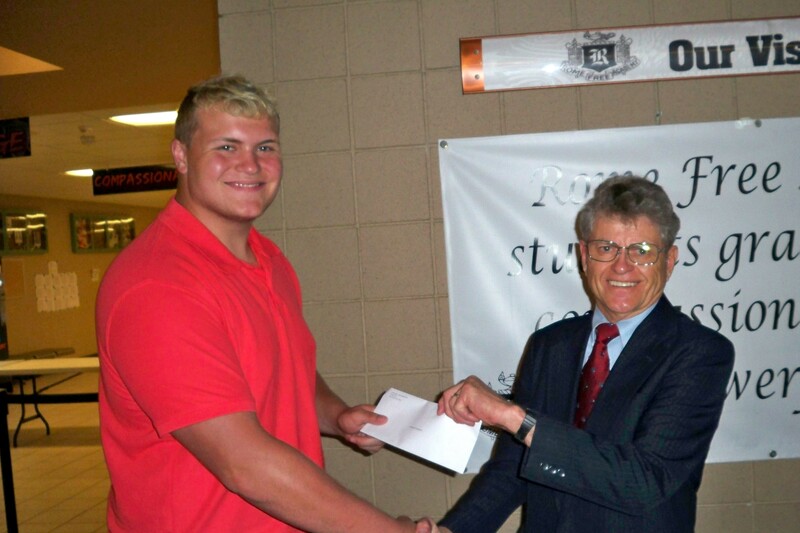 The Trailbusters Snowmobile Club presented its $250 annual scholarship to 2018 Rome Free Academy graduate Spencer Pisaneschi. Pisaneschi, son of Roger and Jodi Pisaneschi, will attend Alfred State College to study construction management. At right is John Beggs, Trailbusters scholarship chairman, who presented the award. Volunteers redecked a bridge in Stokes in August 2017. See photos. The club now has a Facebook page! Please search “Lee Center Trailbusters Snowmobile Club” and “Like” us. 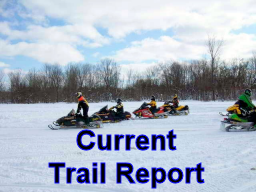 In addition to posting here, the club will be posting our trail grooming reports and other pertinent information on this page. 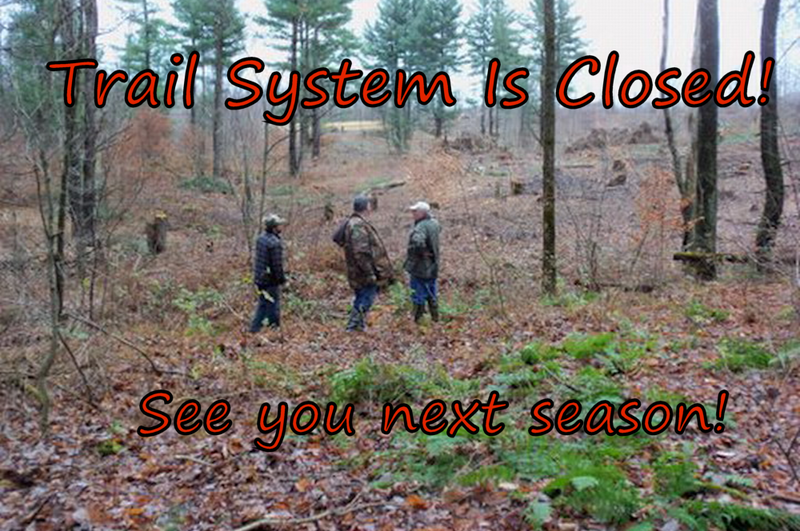 We are hoping that our “Friends” will post their photos and Trail Reports here too! Please join the conversation and lets make this fun! The current club newsletter can be found at the link below. Monthly meetings are held on the second Tuesday of every month at 7:00 pm at the Lee Center Town Hall on the Stokes Lee Center Road. Club Participation is needed for everything from grooming and maintaining trails and equipment to planning and executing events, administration, and communications. Your club desperately needs your input and active participation. The Trailbusters Snowmobile Club is a year round club. Besides grooming 38 miles of trails 6 nights a week (when we have snow); maintaining 2 groomers and a host of other equipment; making, placing and removing approximately 900 stakes and signing, clearing and (at times) rerouting. Last summer the club re-decked three bridges and completely rebuilt one bridge. This spring, summer and fall, there is a host of similar projects that will need to be addressed so that there will be safe trails to ride next year. Please come to the monthly meetings and be a part of something really great. We all want safe and professionally maintained trails to ride, but we need more people involved. Won't you please take an active role and help your club! Please contact Dave Seaton at 315-335-9881 so he can add your name to our volunteer list. Thank you! Please click here to join or renew your Trailbusters membership. If you enjoy our trails and would like to become a club member, we offer two options to join. You can choose the NYSSA online membership application and print out your membership voucher immediately, or you can print out our application form and send it in by mail. Either way, we thank you for supporting the Trailbusters Snowmobile Club! FYI, you can no longer join a snowmobile club at the DMV. If you do not join a club, your registration fee will be $100 per sled. If you do join a club, the registration fee is $45 per sled. The Trailbusters Snowmobile Club would be honored to have you join us as a member! Thank you to everyone who has already joined! Volunteers to help with bridge repairs, signing and other trail work are always needed. Contact John Beggs at 337-0359 to let him know your interest and times available. Emailing the club newsletter makes this task much simpler, faster and more cost effective. If you are not on our email list, please provide your address. We will be e-mailing the newsletter as well as any pertinent snowmobile related information as it happens. Don't be left out.